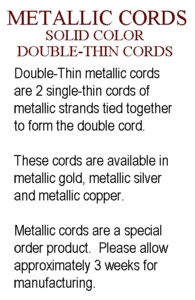 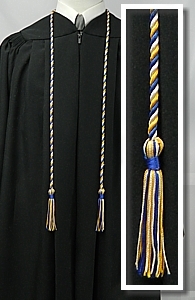 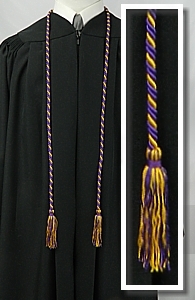 Cords are an excellent way to bring recognition to students who have achieved academic honor as well as to designate membership in an academic society or organization. 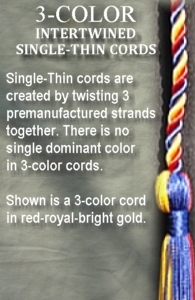 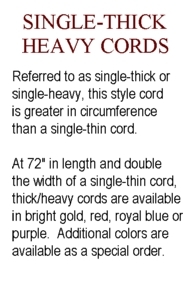 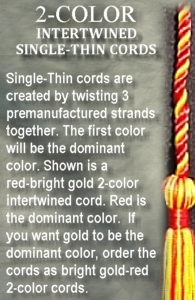 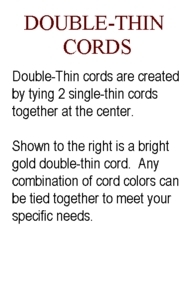 Our cords are available in solid colors or up to 3 colors intertwined. 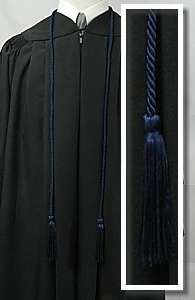 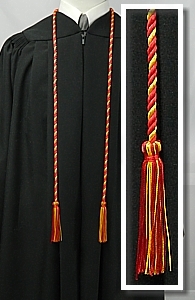 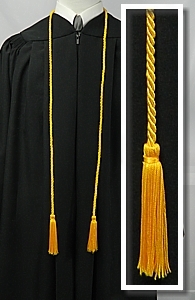 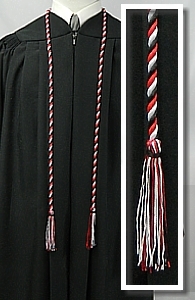 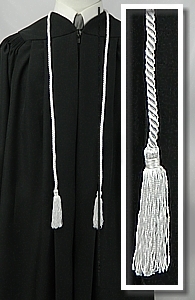 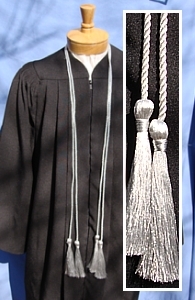 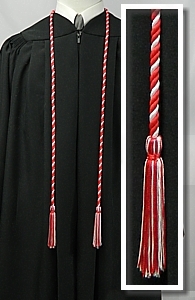 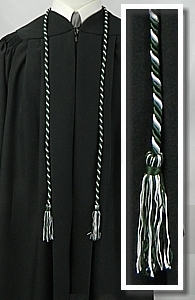 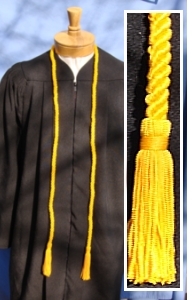 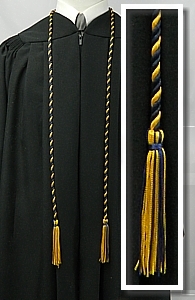 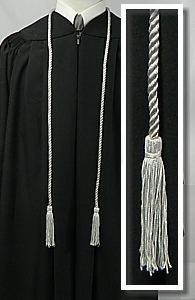 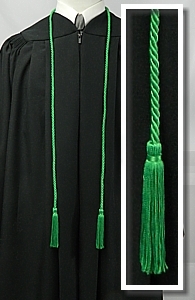 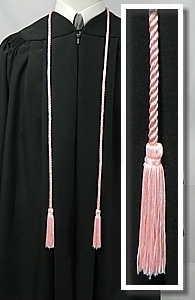 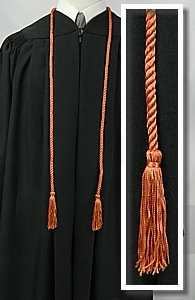 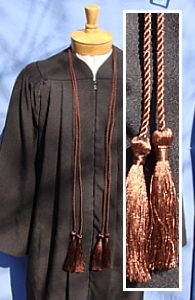 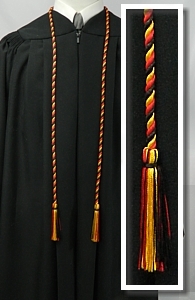 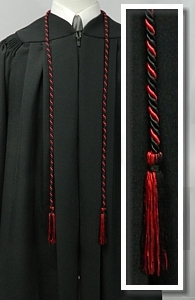 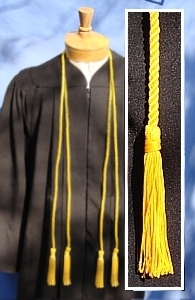 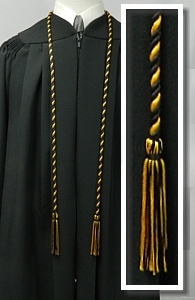 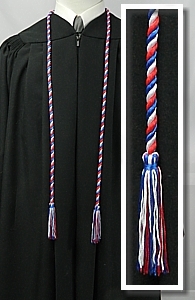 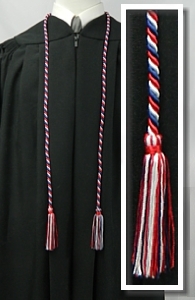 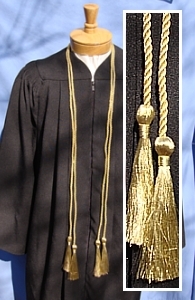 Single-thin cords are 54" in length with tassel ends.